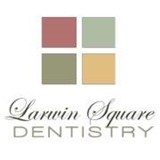 Larwin Square Dentistry (Tustin) - Book Appointment Online! We offer high-quality family, general and cosmetic dentistry to the communities of Tustin, Santa Ana, Irvine, Newport, Orange, and Anaheim. Our dentists have the education, experience, and expertise in providing dental care and treatments to children, teens, adults, and seniors. We offer a wide range of dental services, such as Dental Crowns and Bridges, Tooth Extractions, Zoom! Teeth Whitening, Dental Implants, Orthodontics and more.